You know about Perfecter fusion styler heated round brush and you know it’s too popular for a pretty long time. But there are lots of confusing reviews about in on several online stores. Some are true and some are simply ‘not true’. You should know that a single hair styler may not be suitable for all hair types. At the end of reading perfecter fusion styler review, I believe you will get all your questions answered. As an added bonus, I will share some video tutorials on styling your hair with this one. So, let’s start! When you check the image on Amazon, there are 2 options to buy it. One, Perfecter Fusion Hair Styler Hot Air Brush that comes with Bonuses which I am gonna review. Also, you can buy the Perfecter Ultra All-in-one Hair Styler (the image you are seeing). To simply put, perfecter fusion hair styler is the all-in-one hair styling tool. Meaning you don’t need to use any other hairbrush, curling wand, flat iron, and hot rollers. It’s truly all in one that will replace all other different hair styling tools! Before reading the whole review of perfecter fusion styler any further, watch the infomercial of Perfecter Fusion Styler which I believe you have seen on TV. Pretty impressive, huh? But wait! It’s cool and there are lots of reasons to have it. It can straighten and curl your hair, give shiny look but then again, it definitely can’t straighten hair like a professional straightener, can’t curl your hair like a professional wand can. But for the most impressive look with minimal effort without using lots of hair styling gadgets – you can use it and you can use it without any sort of hair product. The brush uses ionic technology so that it can help to hydrate and heal your hair. Also, you can get salon quality styles at your home because of its gentle ceramic heating. It heats up to 390°F. So much heat to straighten or curl your hair! But the most interesting fact about the perfecter fusion hair styler is that you can touch or hold it with your both hands without burning your hands or skin. A pretty rare feature, isn’t it? Too much good talking? 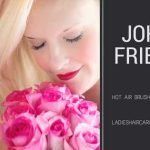 Alright, watch the real-life video review of perfecter fusion styler from a real user which she published on YouTube. As you can see from the video, the brush is proven to be effective in retaining volumes without any burning issue. It’s really safe to use on your hair and it does not get hot like a regular hair dryer or curling iron. Just because it’s small in size and highly portable, you can carry it with you wherever you go! Now, let’s see what more you can do with it. In addition to smoothing and shining your hair, you can curl and bend your hair. Increase the volume or just simply straighten your hair. For hassle-free silky smooth straightened hair or maybe you just want bouncing curls, all is possible with this one. The dimension of the multi-functioning brush is 14 x 6 x 3 inches with a weight of only 1.5 pounds. Comes with 3 styling clips, detangle brush, and a thermal travel case to carry it anywhere you go. Bristles are made of plastic. Perfectly safe for your hair and skin. Since the barrel emits heat, no possibility of burning. It never gets stuck in hair. Suitable to use in the America and Canada. With the help of a converter, you can use it anywhere around the world. Great solution to remove frizz. It will be your best friend if you have short fine hair. Shiny salon looks without washing your hair daily. Though not necessary, you can use the Moroccan Argan Oil as heat protectant to protect your hair and still use the styler as well without any problem. Thousands of positive feedbacks from happy ladies about Calista perfecter fusion styler. As I said before, you will definitely leave a negative feedback if you don’t know how to use it properly. Most ladies recommended reading the manual again and again, watch all the instructional videos available on Perfecter’s website. 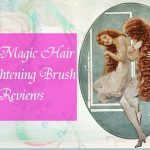 The brush works great for all hair types, especially if you have mid-long hair or long hair. I have included the official instructional video from Perfecter on how to get the best result using this one on your mid or long hair. Women with curly frizzy & thick frizzy hair have confirmed that it works great for their hair types as well. If you have thin fine hair, you can use any good thickening gel before using the brush. You can get it at the cheapest cost consider how much it would cost in total for the hair straightener, curling wand, and brush separately. Many call it the girls best friend. Do not use it on your damp or wet hair. Only dry hair recommended. You can use any styling cream for a long lasting result. To clean it, you can use a comb to push all the stuck hair out and then use a cotton pick to gently clean the inside. If you have thick straight hair and you want to try the perfecter, you should use small sections at a time. This way the brush can pass even heat throughout the hair. You should read the manual carefully until you are confident enough. Unless you will leave a negative review about the brush. If you use it properly, your hair never ever will get entangled. Lots of ladies left negative reviews because of this. That’s really unfair. There is a clear-cut instruction how to untangle your hair on perfecter’s website. As promised before, here is the video tutorial on how you can style your medium to long hair using this brush. Most ladies left negative reviews because a lot of them did not know how to use it properly. However, you should know some issues about the brush. Few ladies having long thick hair did not find it useful. Some just don’t like the 2 inches barrel. As you can see, I have tried to include everything to give the review of Perfecter fusion styler a complete look. It’s really helpful when you don’t want to use different hair styling tools and you need to move a lot, so you need to shorten styling time. Now, you decide yourself whether it is suitable for you or not. However, consider reading Calista Perfecter Pro Reviews. It’s getting popular so rapidly. I don’t simply get it. What are you saying that if I have it, I don’t have to use/buy any hot rollers, curling wand, or hair straightener? So it does the job of all of the hairstyling tools? I know there are several styler that can do the similar job, but I am just not sure about it. I am concerned because I am a working mom and I have to go to the office very early in the morning which leaves me very little time to take care of my hair. If the styler does what you have just reviewed that would be awesome! Do you honestly think Perfecter will be a good solution to my situation? Many many thanks for your comment and I do really appreciate your interest in Perfecter fusion styler. As I have reviewed above, it’s an all in one hair styler. That means you can curl or straighten your hair with it. But I also have reviewed that you won’t get the same result what you would get from a professional curling wand or hair iron. It’s a quick solution for your hair and has already impressed so many women. Before you make up your mind, I recommend you read some real reviews so that you can have the clear idea about it.